Shopping and dining take on a whole new perspective at the Del Mar Plaza (4) (858-792-1555), which is at the corner of Camino del Mar and 15th Street (see map). 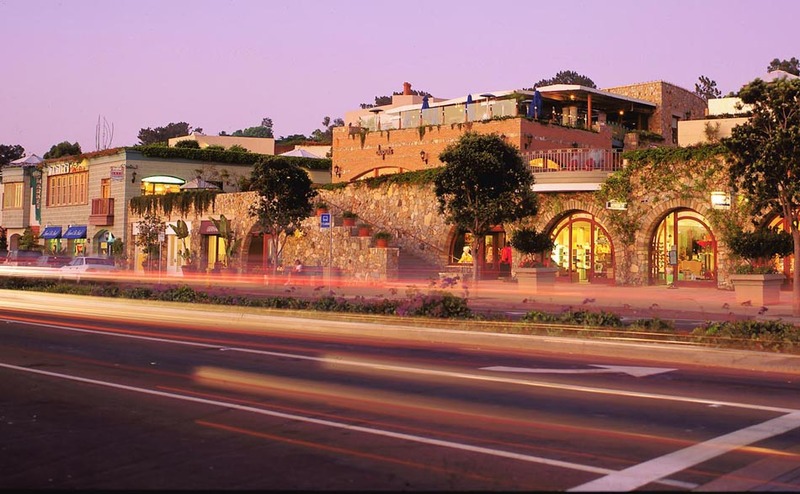 A shopping and dining discovery of the Del Mar Plaza is a fun and romantic Del Mar experience not to miss, be holding hands with your sweetheart of window shopping on your own. It’s quite special. Plus, the Del Mar Plaza offers convenient underground parking at their 15th Street and Camino del Mar corner location in the heart of classy Del Mar. In addition to a meandering walkway, the Del Mar Plaza also offers elevators to whisk you to any floor. Il Fornaio is a classy Italian gourmet restaurant, which serves fine gourmet Italian cuisine and offers a romantic ocean view to go along with an upbeat atmosphere. 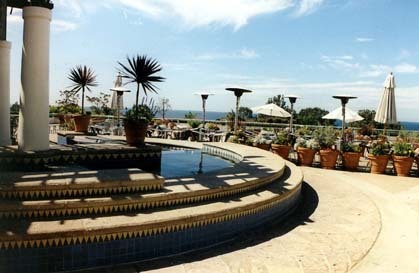 Their classy outdoor bar and cocktail lounge offers a panoramic view of the ocean and Del Mar proper. 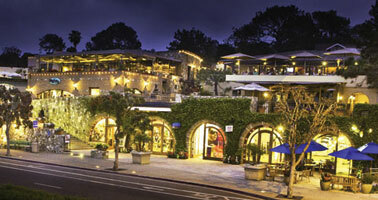 Be sure to read their restaurant review written by San Diego’s Dean of restaurant reviewers. He went unannounced, paid for his own meals and inspected the kitchen. Il Fornaio also has an equally impressive San Diego Bay view restaurant in Coronado. It has been personally reviewed as well.